Join us for an insightful, inspiring, engaging Passover Seder. Celebrate the festival of our freedom. Handmade shmurah matzah, delicious cuisine, 4 cups of wine, the works! 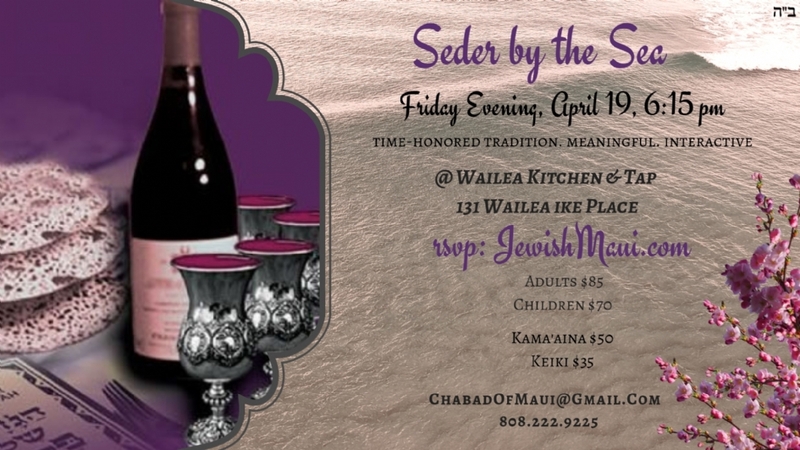 Please consider partnering with Chabad to bring Pesach to Maui.